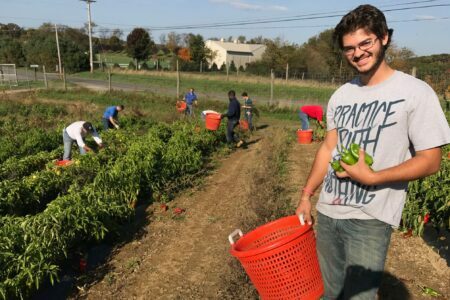 Because they often find themselves with surplus or unmarketable produce, we partner with local farmers to provide this produce to families in need. Are you a farmer interested in partnering with the Food Bank? Contact us at (412) 460-3663 x400 or produce@pittsburghfoodbank.org today! We also recruit volunteers for our gleaning program—collecting leftover harvest that is donated by our farm partners. Getting involved is easy, just sign up to receive our glean alerts!